This week I have the pleasure of interviewing author, Alison May. She has just this week published her first novel with the publisher Choc Lit. 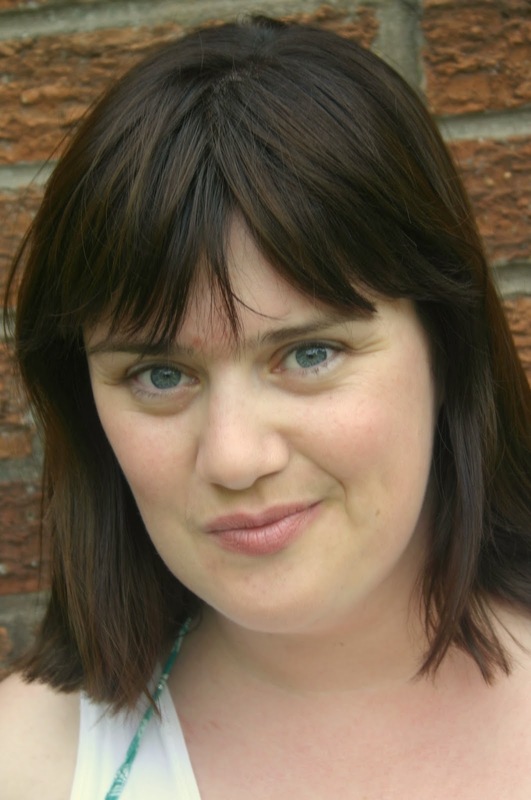 Alison is also a writing tutor. Here she is to tell you all about herself, and answer the questions I put to her. I was born and raised in North Yorkshire, but now live in Worcester with one husband, no kids and no pets. There were goldfish once. That ended badly. I studied History at the University of York, and worked as a waitress, a shop assistant, a learning adviser, an advice centre manager, and a freelance trainer, before settling on ‘making up stories’ as an entirely acceptable grown-up career plan. 1. Q. What genre do you write? A. 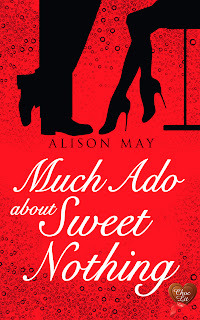 My first novel, Much Ado About Sweet Nothing, is a romantic comedy, apart from the bits that aren’t romantic and the bits that aren’t funny. It’s at least 84% romantic comedy certainly. I always find it tricky to describe what genre I write in because I write books that I would like to read, so there are bits of romance, bits of comedy, but some of my influences are darker and more literary so that gets chucked into the mix as well. 2. Have you always been a writer? If not, how did you get interested in writing? A. I haven’t always been a writer, but I’ve always been a reader, so the interest in story and character is definitely a continuous thread. I do remember setting out to write a play with one of my school friends when I was about eight, so I could look back on that, and think ‘See - I’ve always been a writer.’ But I also remember running races in the back garden with my sister and I definitely haven’t always been sporty, so I probably shouldn’t read too much into my apparent childhood interests. 3. Do you have a best time of day or week for being productive or creative? A. Generally morning is better than afternoon, but realistically there is no good productive time, apart from the 24 hours immediately before an unmissable deadline. At school I was always better in exams than at coursework, so it’s probably not ideal that I’ve picked a career that is basically the adult equivalent of constantly having to do coursework. I tend to give myself fake self-imposed deadlines to force myself to write. At the moment I’ve got a party I want to attend in four weeks time and I’m telling myself I can’t go if I don’t finish the first draft of my current work-in-progress by then. I’ve got about 60,000 words to get through. Wish me luck. 4. How often do you write? A. Most days if I’m writing a first draft. If I’m editing sometimes not looking at the manuscript for a bit is a part of the process. I’m really lucky in that my day job is freelance and sporadic so I do get days each week or month when I don’t have to go out to work. If I’m working on a first draft I’d expect to write between two and four thousand words on each of those days. 5. How do you pick your characters? Are they from real life? A. I’ve never intentionally based a character on a real person, although I have no doubt that bits of and bobs feed into my writing from real-life. I write two different sorts of books - adaptations of Shakespeare plays, like Sweet Nothing, and entirely original stories. For the adaptations, obviously the character starts with the character in the play, and then I work on the things that are specific to the modern setting, like their job and interests. Usually I once I’ve got a character’s voice in my head the rest of the character falls into place - it’s the characters that I can’t hear in my mind that I struggle with. A. Reading obviously - although I tend not to read very much fiction while I’m working on a first draft. I love films, theatre and TV as well though - really anything that’ll tell me a story is good with me. I’ve developed a recent liking for Zumba, Bokwa and yoga, which upsets me somewhat. As one of the world’s natural curvy girls this growing tendency to exercise is a bit of a worry. It is an increasing necessity though as I spend more and more time sitting on my behind writing, and less and less on my feet at the front of classrooms. 7. Do you have any indulgences? Do you treat yourself after a good day, or week? A. never really been one to save indulgences until the end of a good day or good week. Hence the curviness, perhaps. I love good food, and quite a lot of bad food too, and wine, and vodka, and going out and enjoying all of the above with friends. I don’t find I need a treat after a good writing week - the feeling of ‘having written’ (which is so much nicer than the feeling of actually writing) is sufficient. It’s the bad writing weeks that require treats! 8. Tell us something about your new book? A. Much Ado About Sweet Nothing, which is out with Choc Lit’s digital first Choc Lit Lite imprint, is a romantic comedy based on Much Ado About Nothing. It has love and heartache and wedding dresses and maths, and I am very quietly and very nervously rather proud of it. 9. As a writing tutor, what would be your top three tips to adult writers? 3. Edit like you didn’t write it, and you aren’t emotionally attached to it. If I was allowed a fourth tip, I’d add: Submit your writing lots. And then go back to number 1 and repeat. Thank you so much Alison! It was a pleasure interview someone with such a sense of humour. I can't wait to read your new novel. Follow Alison on Twitter, and check out her web page and her new book. See above for all the details. Thank you for visiting my blog, and see you again next time. Thanks for this Marilyn & Alison. I very much relate to that sentiment that the feeling of 'having written' is better than actually writing. It's like exercise - it feels wonderful when it's all over. Thanks Sally. It was a pleasure interviewing Alison. And I agree with that sentiment too about having written. Alison is enjoying the relief after the writing and having it published. Thanks Anne. I also am looking forward to reading Much Ado about Sweet Nothing. This is one for my Kindle ... Good luck with it, Alison. A fabulous interview, Alison and Marilyn. It's made me want to read Much Ado more than ever. Thank you Liz. I'll join you there. I have Alison's book on my list to read now. I loved Alison's Much Ado About Sweet Nothing and I really loved her Christmas novella, Holly's Christmas Kiss. Good fun, great characters, a lot of romance and some laugh aloud moments - what more could you want?